Texas' sensational multi-genre, Grammy Award-winning artist is bringing his signature sounds to Australia and will play at Forum Melbourne on Wednesday 24 April. 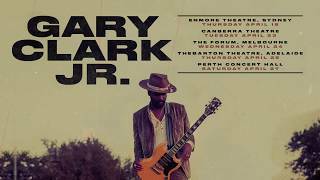 Showcasing his forthcoming new album “This Land”, out March 1 on Warner Music, Gary Clark Jr. and his band will be appearing at Sydney’s Enmore Theatre on Thursday April 29 before heading westward to take to the stage in some of Australia’s finest venues in Canberra, Melbourne, Adelaide and Perth. He’s been heralded as a rare guitar virtuoso and as one of the most acclaimed bluesmen of his generation, collaborating and performing with a myriad of today's greatest musical artists including The Rolling Stones, Beyoncé, Foo Fighters, Eric Clapton, Nas, and Booker T Jones. His album “Live North America 2016” was described as being driven by a pure, soulful and devotional spirit – likely an understatement, given his electrifying live performances.